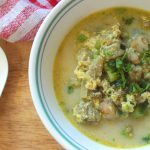 Keto Seafood Soup - Headbanger's Kitchen - Keto All The Way! Winter is here, which, in Mumbai, means that the temperatures have dropped from the high 30s to, well, mid 20s (that’s 100 F to 75 F for all my US friends). Yes, that’s pretty much summer temperatures everywhere else in the world, but, in Mumbai, it’s time for sweaters to be dusted off, blankets to be swapped for duvets, and rice and curry to be traded in for soups. We like to make the most of our two-day winter. And, for me, there’s nothing quite like an Asian style seafood soup to hit the spot on a cold day. 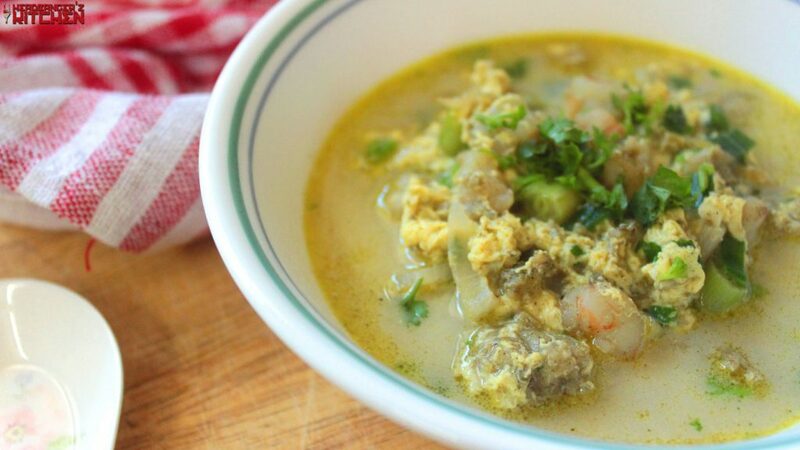 To be honest, though, I hit upon this recipe for keto seafood soup quite by chance. It all started because one of the stores I buy my meat from had a homemade fish stock available and I just had to pick up a packet. My recipe took inspiration from the seafood soup that I love ordering from Chinese restaurants in India. But most of these soups have loads of cornflour to thicken them up. Instead, I skipped that part and also added some Thai flavours into the mix with the Sichuan peppers, kafir lime leaf, lemongrass and pandan seasoning powders that I added to the soup. Now I picked up these powders on a whim in a grocery store in Bangkok, So if you can’t find them you can just as easily use fresh lemongrass, kafir lime leaves and pandan leaves, or you can skip them entirely. You can also use regular pepper if you can’t find Sichuan pepper. Well, if seafood isn’t your thing, you can just as easily turn this into a chicken soup – just substitute the seafood for chicken and the fish stock for chicken stock. Everything else will stay the same. In case you aren’t looking for an Asian style soup or are vegetarian we have some delicious recipes for a spinach soup, mushroom soup and a cream of chicken soup too. Winterrrrrr is herrrrrre! A seafood soup made with fish and prawns with delicate Asian flavours and finished with coconut milk. Light and delicious. Then add in the middle part of the spring onion, white vinegar, light soya sauce and some fish sauce and give it all a good mix. Finish it off with the coconut milk and coriander. so much fun watching your videos and cooking along, you make me smile during cooking and your sweet wife has to be patient with your french accent. you two are a hit, keep up the good work !